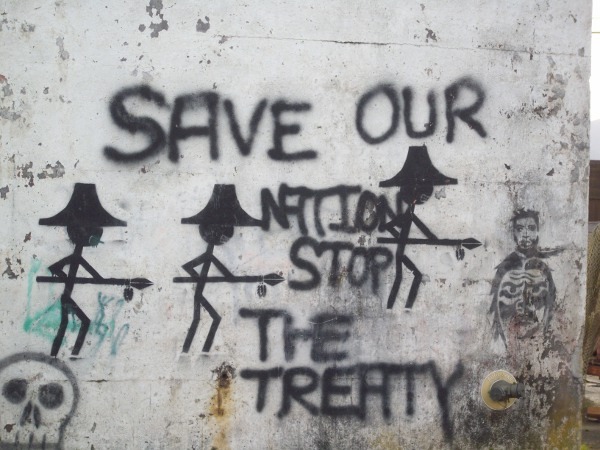 Anti-treaty graffiti in Alert Bay, ‘BC’. B.C. is attempting to renew and complete treaty negotiations with local First Nations, but the minister for aboriginal relations acknowledges it won’t be easy. Minister John Rustad said the province has been working with the First Nations Summit and federal government to review and jumpstart treaty negotiations, which in some cases have been stalled for more than a decade. The Katzie First Nation, for instance, has been in stage four of treaty negotiations for 10 years. 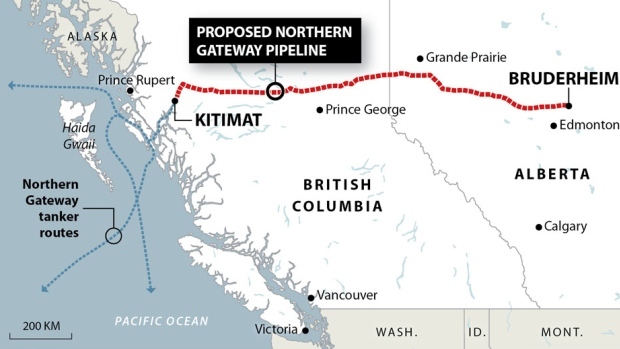 With the clock ticking down for his government’s decision on Northern Gateway, Natural Resources Minister Greg Rickford said Monday there have been significant strides forward on pipeline and marine traffic safety in talks between Ottawa and First Nations. For at least the fourth time in as many weeks, Rickford was in British Columbia. This time, he was speaking at an aboriginal summit on pipeline and marine tanker safety.